Why Sprouts? They are a Living Food! Growing sprouts is easy! There are many reasons to grow your own Living Food. Sprouts are the most nutritious living food on the planet! Sprouts and young greens are up to 30 times more nutritious than the best organic vegetables because they are young plants. The life force of this growing food is transferred to your body when you eat them. 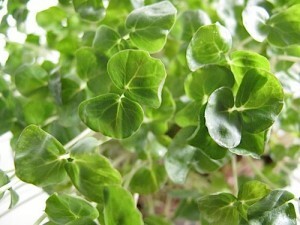 During this time in the plant’s life, they have more nutrients than any other stage of growth. These young plants are also very east to digest because of their high enzyme content. Certain B vitamins increase 1200 percent during the germination process. Sprouting unleashes vitamins, minerals, and enzymes that were dormant in the seed. This is what makes the young plant so nutrient dense and easy to digest. In addition to B vitamins, the sprout also contains an abundance of antioxidants that stop DNA destruction, protecting us from cellular aging and breakdown. Certain sprouts have also been shown to fight cancer and reduce cholesterol. Broccoli sprouts have been proven to fight all types of cancers including pancreatic and colon cancers. They are high in sulforaphane, proven to boost cell enzymes that protect against molecular damage from cancer causing chemicals. In order to reduce your colon cancer risk by 50%, you would need to eat at least 2 pounds of broccoli a week. However, fresh broccoli sprouts are much more potent, allowing you to eat much lower quantities with the same result. Determine the difference between raw foods and Living Foods. Integrate Living Foods into every meal! Grow greens and sprout at home. Ferment and culture, creating probiotic foods. Transform the way that you look at and prepare meals!